Our PBX service is fully managed, whether in the cloud or on premise. We will set up, install, configure and manage your PBX and provide your licensing needs. Cloud services enable you to send and make calls from any device and smart phone, with all the features of a corporate PBX system and with huge savings to be made verses conventional phone lines. Productivity boosting features such as Presence, corporate chat, whiteboard, screensharing and more allow for employees to collaborate better and work more efficiently. Our managed service centralises all the aspects of managing your telephone service, from set-up to configuration to on-boarding. 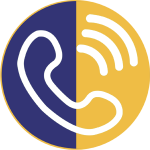 SIP trunking connects your PBX to the PSTN via broadband or ethernet and adds flexibility to standard PBX telephony. Priority over internet traffic means consistent connections while lower call charges and monthly fees make it more cost effective. PSTN basic and premium analogue lines, ISDN2 and ISDN30. 3CX offers flexibility with its software-based, open standards IP PBX. Deploy on-site on Windows or Linux or on the cloud and retain full control of your PBX. With integrated security features, WebRTC video conferencing, CRM integration, whiteboard, screensharing and instant message, 3CX is the complete unified communications solution.